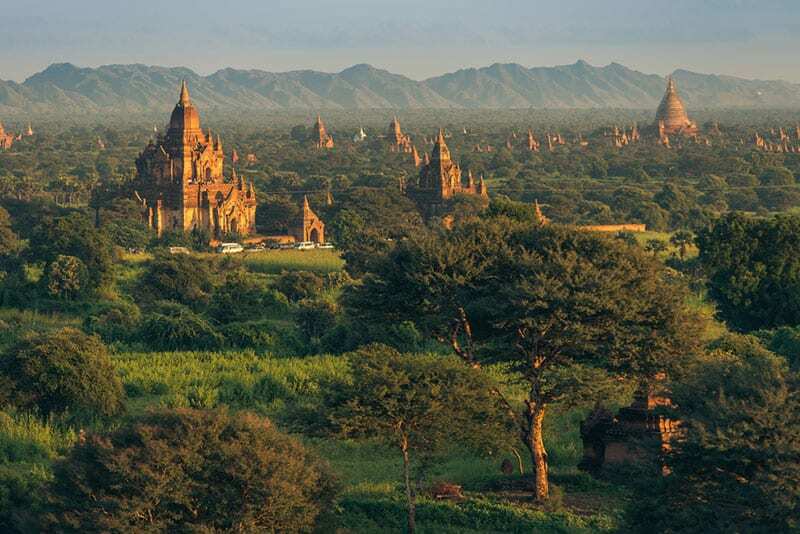 Burma re-opened to visitors in 2012 after being mostly hidden from the outside world for many years. This unspoilt country offers an authentic glimpse of the Asia of old with timeless highlights including the winding Irrawaddy River, the floating gardens of Inle Lake and the plains of Bagan dotted with thousands of stupas. Buddhism is still a way of life here and with Burma’s many temples and working monasteries there is the feeling that the 21st century has not yet intruded upon an ancient way of life. Burma’s British colonial past is in full evidence here with former colonial government buildings to be found amidst the colourful markets. The magnificent Shwedagon Pagoda – coated in 5 tons of gold and reputed to be 2500 years old – is the principal Buddhist temple in Burma whilst Chinatown and the Indian Quarter offer insights into local life in the city’s winding streets. Children who grow up on Inle Lake learn to pilot boats shortly after they learn to walk. There are no roads so to go to market or see a relative or friend locals have to go by boat – and that holds true for visitors to the lake too. 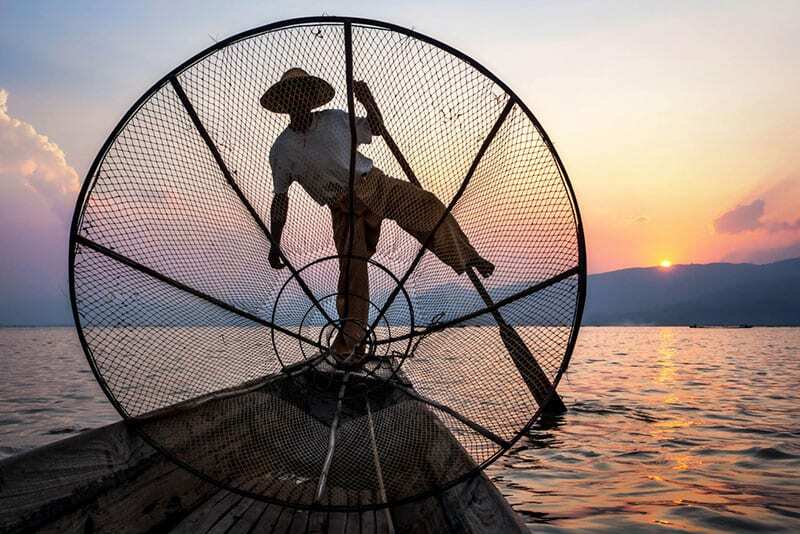 A boat ride offers wonderful photographic opportunities especially of the fishermen with their distinctive rowing style which involves wrapping one leg around a single oar. As well as the ‘floating gardens’ where local crops are grown there is a morning market that affords the chance to meet some of the people who gather here from the nearby hilltribes. The old Burmese capital is one of Asia’s archaeological wonders with its wide plain liberally sprinkled with thousands of temples and stupas, some dating back over 900 years. 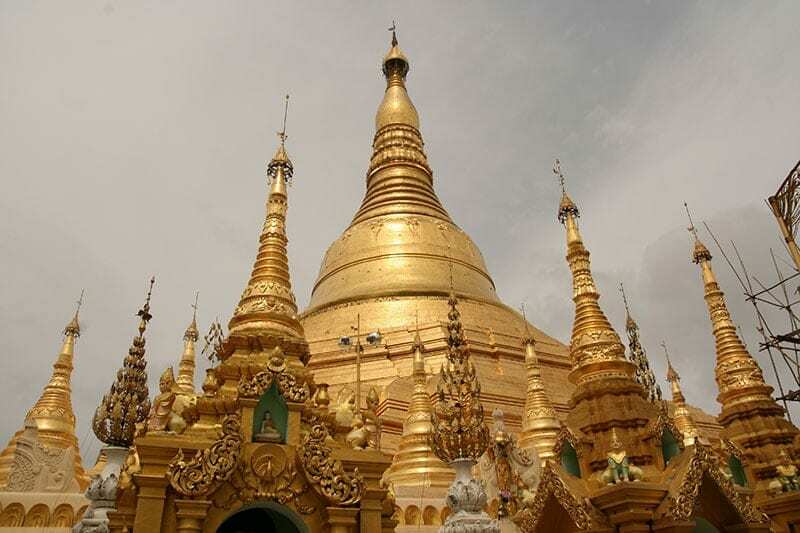 Explore Shwezigon Pagoda and the famous Ananda Temple before getting a stunning sunset vista from atop one of the terraced pagodas – a view that will be forever etched in your memory. Pindaya Caves are set in the limestone hills not far from Inle lake and are an important pilgrimage site. One of the caves is open for visitors and its 150 metre length is literally filled with Buddhist statues which date from the 18th century to the present day. These statues are still being added to by modern devotees and every corner of the cave is cramped with Buddha images squeezed between the stalagmites and stalactites and extending right up to the ceiling. Nearby Kalaw offers the chance to trek in the Shan Hills or travel by train to Nyaung Shwe – a fantastic way to immerse yourself in local life. The country’s cultural capital, Mandalay is home to the Royal Palace and the fascinating Kuthodaw Pagoda where you can see the ‘World’s Largest Book’, over 700 stone slabs inscribed with the complete Buddhist scripture. There is also a lively jade market and a 200-year-old bridge made of teak that spans over two kilometers. A side trip to Sgaing Hill offers a chance to visit a local nunnery set amidst hundreds of white-washed pagodas. Set on the Bay of Bengal on Burma’s western coastline, Ngapali is a lovely place to relax. Turquoise waters lap along the white palm-fringed beaches and there are local markets to explore and excellent seafood cuisine to be enjoyed. What to do: Swim, snorkel and relax. Burma can be visited in most months of the year. November to February are the coolest and driest months and given the country’s rather limited supply of accommodation following its years of relative isolation we would recommend you book well in advance for this period. March to May are the warmest months, especially in the north where temperatures can become oppressively hot at this time. June to September is the wet season and some itineraries need to be adjusted for this time of the year to ensure heavy downpours do not disrupt transport between places. Burma appeals to people wishing to see a genuinely Asian culture and if this is your objective too then consider a cycling tour of the country as this is an approach that will pay huge dividends. Bicycles can take you along roads less travelled where other vehicles are rare and you are more likely to encounter a cart pulled by a water buffalo than a bus. Carefully constructed cycling itineraries that are aimed at all levels of fitness will enable you to see most of the main sights of the country but from a much gentler perspective. With currently no direct flights from the UK to Burma, many people fly via Kuala Lumpur or Bangkok. With Air Asia’s main hub being located adjacent to the international airport in KL, this low-cost airline opens up all sorts of onward connections at very reasonable expense. Within Malaysia there are the attractions of Penang, Langkawi or the Perhentian Islands for a beach stay but Borneo’s wildlife and scuba-diving are also quickly accessible, as too is much of Indonesia.